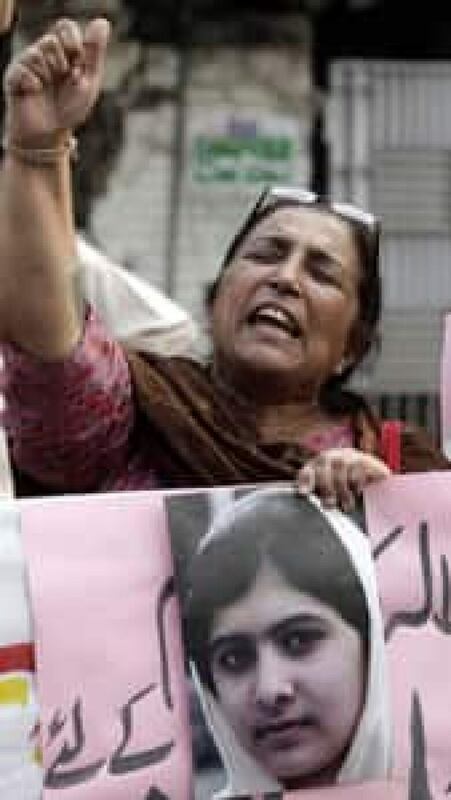 Human rights activists and other supporters of Malala Yousafzai worldwide are championing her cause, declaring Saturday an international day of action for girls' right to education, after the 15-year-old was shot in the head by a Taliban gunman last month. 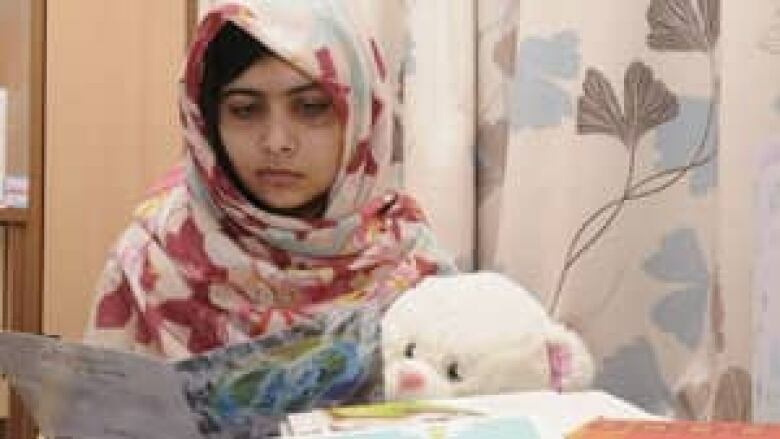 Human rights activists and other supporters of Malala Yousafzai worldwide are championing her cause Saturday, declaring it an international day of action for girls' right to education, after the 15-year-old was shot in the head by a Taliban gunman last month. "Today is Malala day," said CBC's Dominic Valitis from London, England, "to highlight Malala Yousafzai's story and the fact that some 32 million girls around the world are simply not attending school." Saturday has been declared a global day of action to support her cause. "Her story has really galvanized international support for female schooling," Valitis said. After the Oct. 9 shooting, Malala was airlifted to a hospital in Britain where she is being treated and is making a steady recovery. While at the hospital, Malala has received letters and cards of support from strangers. "I am happy for you and what you believe in," wrote one young letter-writer from Los Angeles, Calif. In her hometown of Mingora in the northwestern Swat Valley, hundreds of students prayed for her early recovery and vowed to continue her mission. UN Secretary-General Ban Ki-moon sent a video message to the gathering, saying Malala is a global symbol of every girl's right to education. "I am adding my voice to the messages of over one million people across the globe," he said. "Education is a fundamental human right. It is a pathway to development, tolerance, and global citizenship. Join us in our campaign to put education first for Malala, and girls and boys across the world." The UN is leading the way on furthering Malala's cause, said Valitis. Former British prime minister Gordon Brown, the UN special envoy for global education, delivered a petition signed by more than one million people to Pakistan's president on Friday. The Pakistani government has already announced a new scheme to try and send some of the country's poorest children in schools, said Valitis. Over the next four years, the government will provide cash incentives to the families of three million children. The program — funded by the World Bank and the U.K. government — will pay the children's families about $2 Cdn each month for sending their child to school. Meanwhile, an online petition, calling for Malala to be nominated for the Nobel Peace Prize, has garnered nearly 100,000 signatures.